Smart wheelchairs that can be programmed to take a person from one specific shop to another while avoiding obstacles. Thermal cameras that can detect human traffic patterns so researchers can pinpoint problem areas. The efficacy of software designed to help the cognitively-impaired navigate a virtual grocery store. Transmitters and receptors that tell visually impaired people what stores and services are nearby and how to get to them. 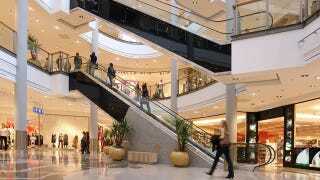 It's true that malls can be confusing for anyone, and it's a good idea to improve conditions for visually impaired people or those with limited mobility. But how long until lazy people start taking over those smart wheelchairs? 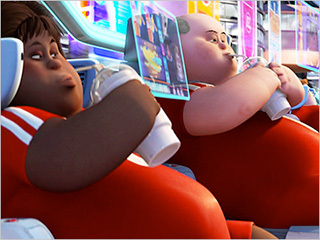 We're all going to end up with atrophied limbs, like the folks inWall-E, I just know it.